There is nothing I love more than a new pair of PJ's! I think it's one of my fave gifts that I love to get a new pair of pj's for Christmas Eve. It's one gift I love to share with Marco & Olivia. Last year, Target had the cutest Burt's Bees Pajamas and they are back this year! 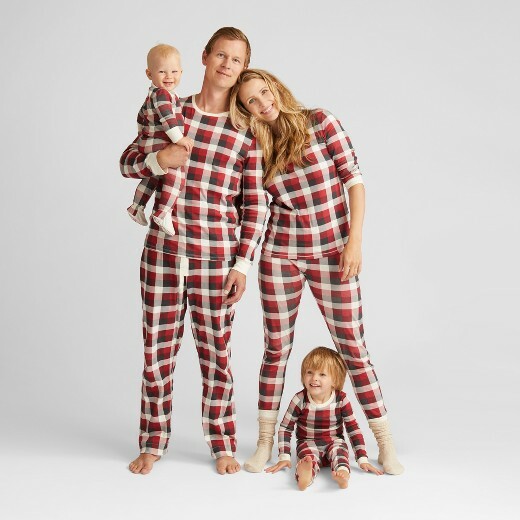 Night Before Christmas Sessions are coming up in November and I wanted to share some cute holiday pajama options. Just keep in mind that neutrals are best. Red sometimes will cast a color on faces and it's best to stick to muted/neutrals. I've linked a few of my fave below and some non-pajamas options for the babies.